I have been contemplating cutting my hair off for a LONG time now, I was waiting for our wedding and was going to do it right after that (but with postponing it it will give me another year to grow it out anyways!) but finally TODAY I decided that I am GOING TO DO IT! So Goodbye Hair, Hello New short Easier Hair! My hair is long enough to donate it to Locks of Love as well! So to be able to help out a kid with Cancer is an even bigger reason for me. Although Mallory would not benefit from a wig, I have met MANY MANY kids that would. So It feels GREAT! Mallory's CT was AMAZING! The tumor has shrunk 1/4 of the original size, and her chatacolohmines (sp? seriously some of the medical terms are SO hard to spell correctly!) are NORMAL, Beyond AMAZING news. We get admitted for Chemo tomorrow and will actually be able to discuss everything with Dr. Axtell then, but for today we are going to enjoy some more sunshine and possibly some ice cream to celebrate. YYYEEAAAHHH!!!!! So happy to hear such great news!!!!! What an answer to so many prayers from everywhere and FL. Mallory truly is a rock star, what an amazing story she will have to share. How great that you are thinking of others to help with Locks of Love--you are giving back and have such compassion. Yeah!!!!! My heart smiles for all of you!!!!!! Joy! Joy! Joy! May the blessing keep on flowing!!!! The power of prayer... it is a true blessing. I am so glad to hear all the wonderful news. Locks of Love is such an amazing organization. My son cut off 15 inches about 2 months ago and donated it to Locks of Love also, it took mom some time getting use to the new look but he is still handsome as ever. Just wanted to let you know that I probably won't be able to stop up on my lunch hour the next couple of days. I have a bad cold and will no way get near that adorable little girl. Blessing to you Ashley and Ryan... Our God is an Awesome God and does answer prayers. It is so wonderful to hear this news! I will continue praying for your little angel and your family. Bless you all! 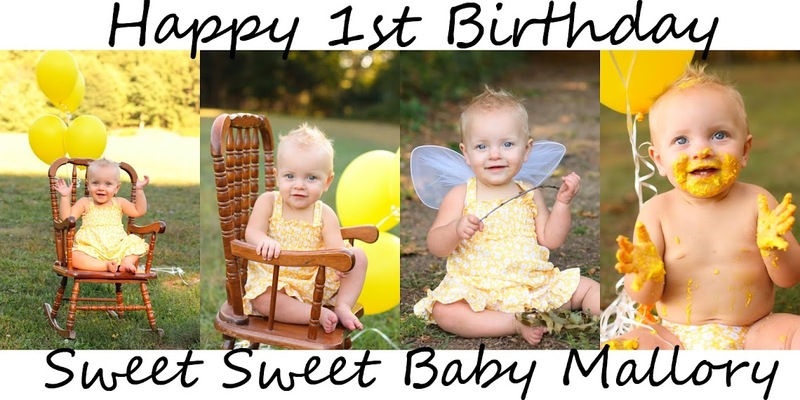 I started following sweet baby mallorys story after I saw it on babycenters birth club. My daughter Ellie was born on the same day. I pray for Mallory every night and it is so wonderful to hear that the chemo is working. I've shared your story with my family and we are now going to local blood drives to help out kids like Mallory. Please know that your family is always in our prayers and constantly on our minds.